Nikon D7000, COOLPIX P7000, S1100pj receive the "red dot award"
Tokio, April 13, 2011 /Photography News/ Nikon Corporation announced today that the Nikon D7000 digital-SLR camera, the COOLPIX P7000 and S1100pj compact digital cameras, developed, manufactured and sold by Nikon subsidiary Nikon Vision Co., Ltd, have been awarded the "red dot award: product design 2011" by Germany's Design Zentrum Nordrhein Westfalen. The "red dot award: product design" is a world-class award presented to products released over the past two years that exhibit superiority in terms of a total of nine aspects, including innovation, functionality, ergonomics, ecology and durability. 4,433 products from 1,700 companies in 60 countries were entered in the "red dot award: product design 2011" competition. Winners will be on display from July 5, 2011 to August 1, 2011 in the exhibition "Design on stage – winners red dot award: product design 2011" at the Red Dot Design Museum on the premises of the Zeche Zollverein World Cultural Heritage Site in Essen Germany. See the following website for further information on the "red dot design award": reddot online. A mid-level DX-format digital-SLR camera with a compact body loaded with a number of advanced functions. The camera is equipped with a new DX-format CMOS sensor, the new EXPEED 2 image-processing engine, a 2,016-pixel RGB metering sensor, an AF system utilizing 39 focus points, the D-Movie function that supports recording of full-HD movies, and a number of new technologies and other functions, all adopted in response to users looking for a way to enjoy more advanced photography or apply the rich power of expression possible with SLR cameras to movie recording. 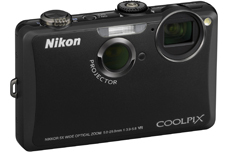 The flagship model of the COOLPIX series, this camera offers advanced shooting enjoyment nearly equal to that of a digital-SLR camera. It has an effective pixel count of 10.1-million pixels, is equipped with a 7.1x optical zoom NIKKOR lens that covers a broad range of focal lengths beginning at the wide-angle 28 mm (equivalent with 35 mm  format), and it makes the most of the large 1/1.7-inch, RGB CCD image sensor and optical characteristics. In addition, the latest image-processing engine, EXPEED C2, has been adopted for this camera, which enables capture of high-resolution images with rich tonal expression. With functions that support advanced imaging, including zoom memory and the tone level information display, as well as a number of high-sensitivity shooting functions to choose from depending upon shooting conditions, high-speed response and controls that support intuitive operation, the COOLPIX P7000 is the optimal photographic tool for a wide variety of scenes. This is the second projector-equipped model to offer new ways of enjoying a digital camera with the ability to project and share photos taken with the camera anywhere and anytime. Projector brightness has been increased by 40% over its predecessor, the S1000pj, for larger and clearer projection. Adoption of a 3-inch touch panel TFT LCD monitor enables intuitive operation. What's more, when the camera is connected to a computer, it can project data stored on the computer, making it convenient for business use as well. wow. 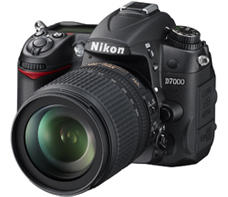 Congratulations Nikon for a job well done on D7000. I think I better get one and its time to upgrade to mid range gear.